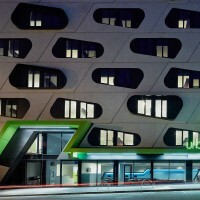 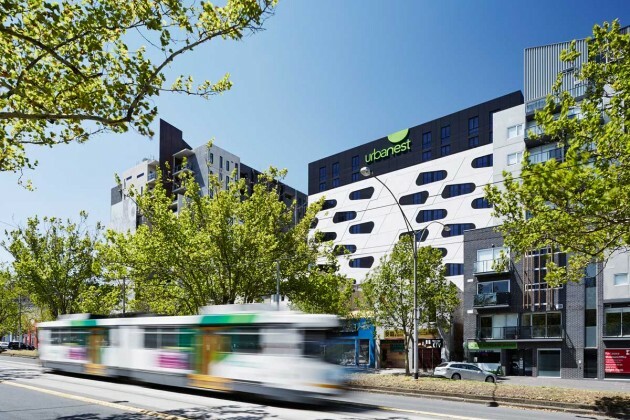 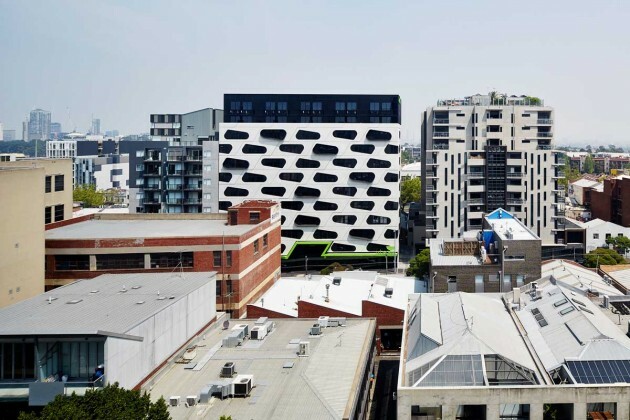 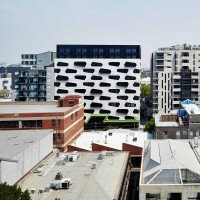 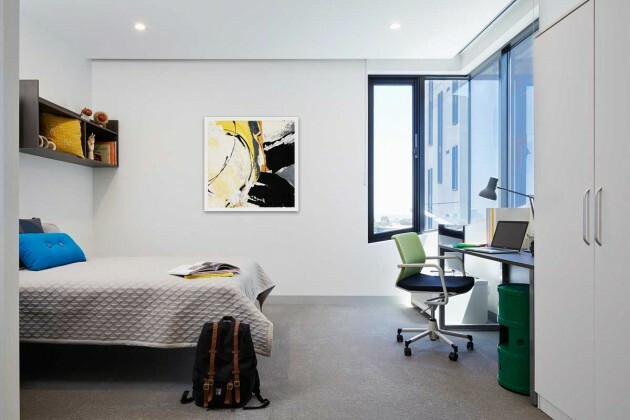 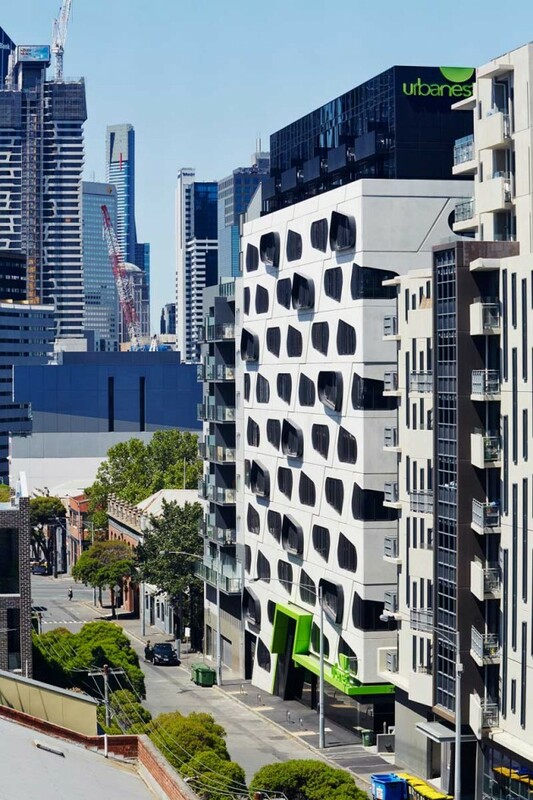 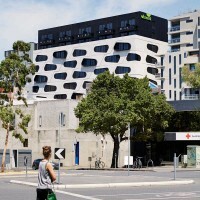 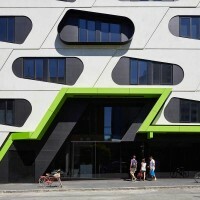 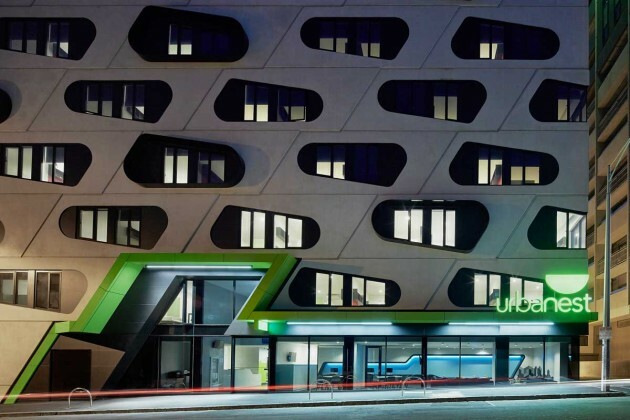 Photographer Peter Clarke has sent us images of Urbanest, a student accommodation project in Melbourne, Australia, designed by architects DKO. 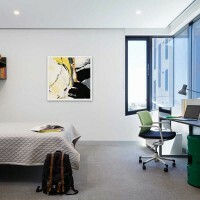 Berkeley Street is a student accommodation project which we completed in January this year. 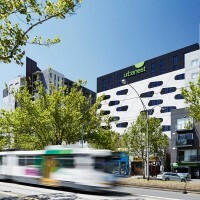 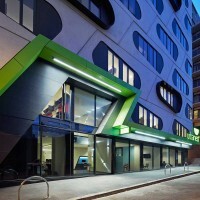 The building resides in the inner city suburb of Carlton, Melbourne; closely located to a range of universities and learning institutions. 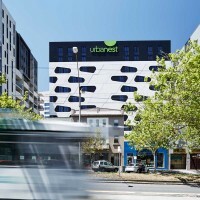 Urbanest being the client group have many established buildings all over the world and this being their first project in Melbourne we wanted to create an identifiable building which encompasses their branding and the architectural design. 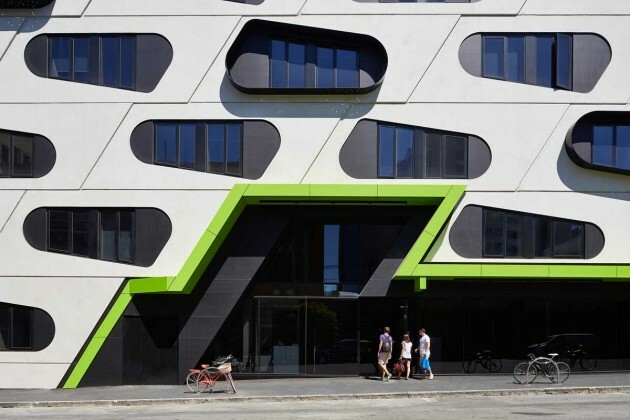 The external façade of the building is a striking composition of light and dark materials along with angular shapes and ovals. 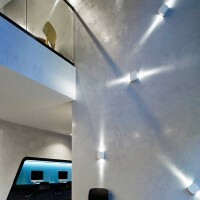 We were able to carry these interesting elements of the external façade into our interior design of the public spaces. 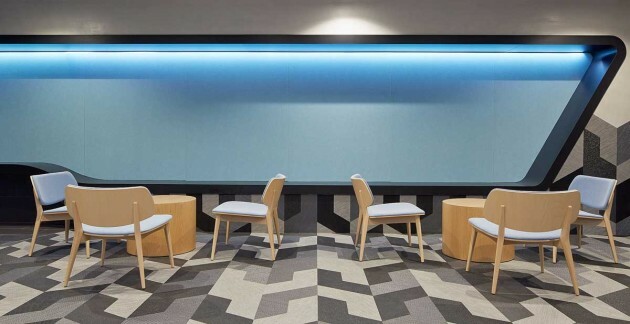 Focussing on the detailing throughout to achieve this correlation from the use of patterned Bolon Flooring to the joinery unit comprising of the Imac zone desk and bench seating for the students. 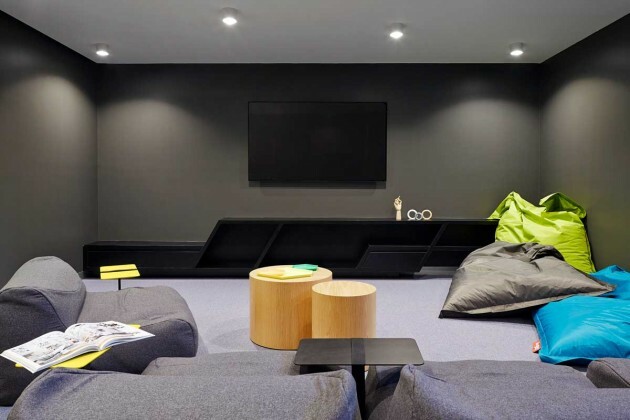 Working closely with a lighting designer to help highlight these features and coordinate the linear exterior with the interior. 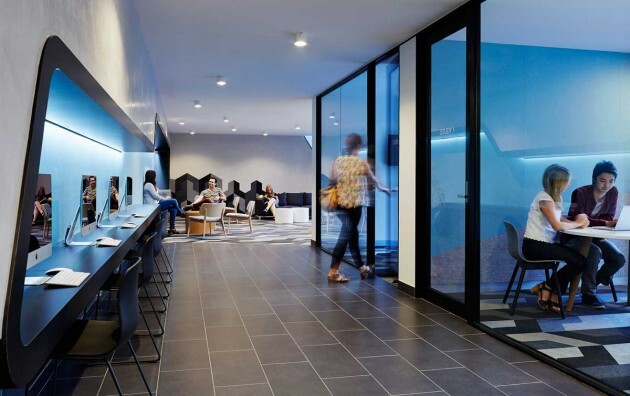 By creating communal spaces where the students are able to interact with one another while using the facilities provided by Urbanest we limited the need for extra requirements in their rooms and in turn helped save on energy. 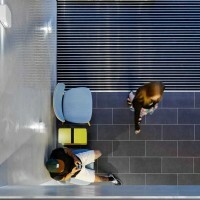 Shared facilities through the building from kitchenettes to bathrooms in rooms, through to study rooms and tv rooms. 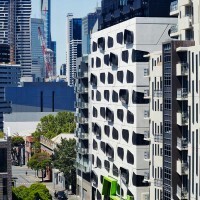 The bathrooms themselves are pods which were constructed off site and placed into position on site. 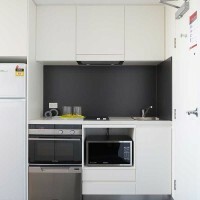 This meant that there was reduced wastage and proved to be a very time efficient process. 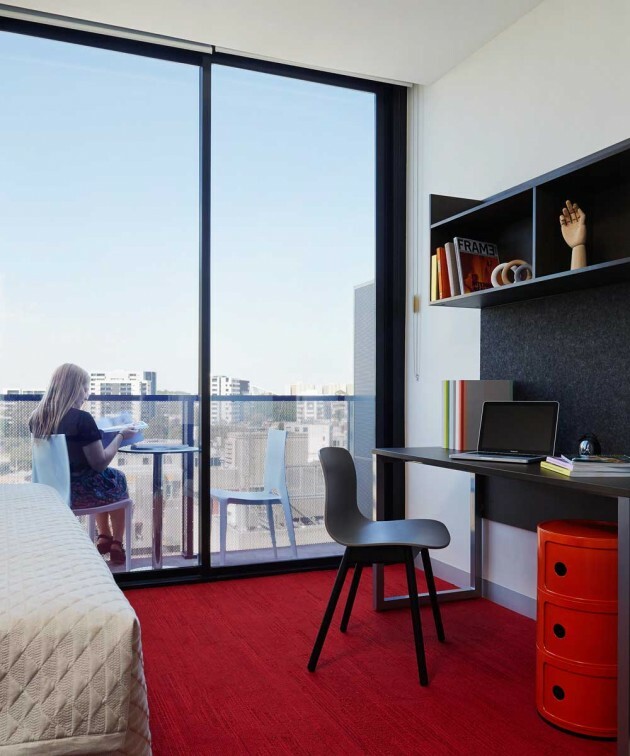 We had to really consider the finishes and furnishings which we used on the interior as they needed to be durable enough to maintain the daily use from students and to avoid replacement in the future. 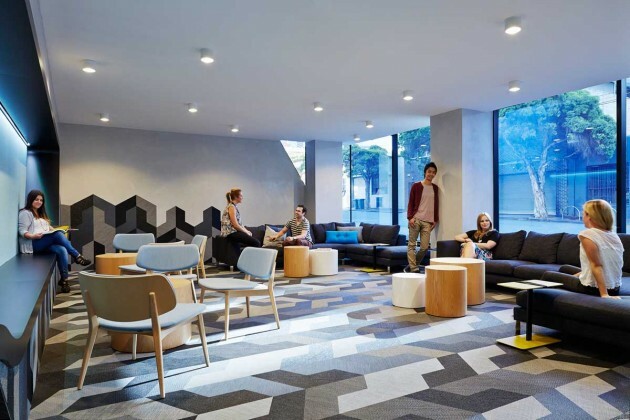 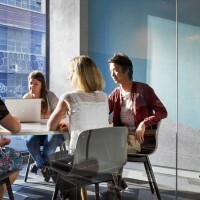 The use of Bolon woven textile was an integral part of our design process due to its high durability, sustainable credentials and ease of cleaning in comparison to carpet which in turn reduces maintenance and saves on money. 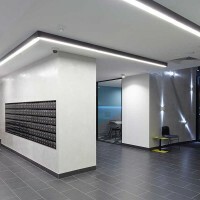 As the architecture and interior design uses lighting to highlight the details and design, we worked closely with the lighting designer to model the energy and lighting levels and used LED lighting throughout.